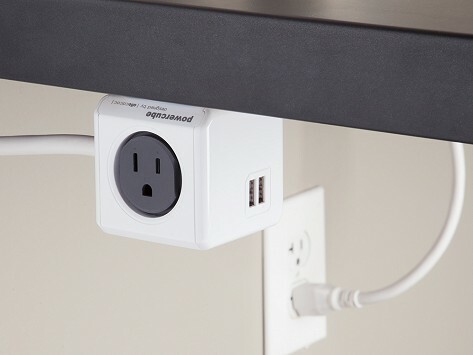 This modern power socket includes two USB ports as well as four outlets. With the cube shape, there’s no worrying about fitting larger adapters next to one another. 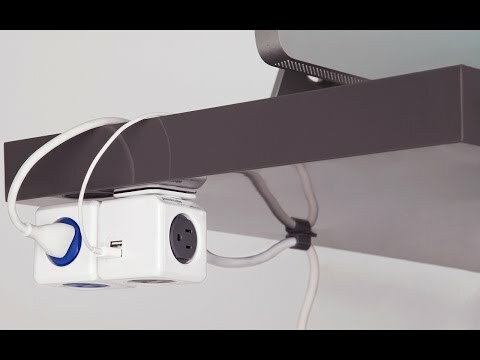 With the 5 foot extension cable and easy mounting dock, you can mount it under your desk or elsewhere for more convenience. Dimensions: 2.5" x 2.5" x 7.9"
This is my 3rd cube extension. They are really handy and don’t take up a lot of space. I like the USB ports most of all. This outlet is a clever solution for a device charging hub. Works great!